“God bless America, Let’s save some it.” – Ed Abbey This weekend was full of activity for the Pulpit. We spent Friday at the Sportsmen’s Advisory Panel with Senator Tester, and we were up in Choteau yesterday for Congressman Rehberg’s listening session on the Rocky Mountain Front Heritage Act. The panel discussion on Friday was lively and energetic. One topic included the issue a Congressional rider that forbade the Forest Service from implementing rules designed to eliminate conflict between wild sheep and domestic sheep. Other topics of interest included HR 4089, the Sportsmen’s Heritage Act, funding for the Farm Bill’s conservation title, and a host of other issues like Roadless, Forest Jobs and Recreation Act, etc. Perhaps the most lively discussion was in regards to current attempts to eliminate the public estate. Currently, public lands are under a great number of threats that would affect our ability to use them and manage them for wildlife habitat and hunting opportunity. It was great to hear the Panel defend the North American Model; lazer-like focus was placed on the need to maintain public lands, which includes cutting some trees, replacing old culverts, and making sure that the funding for the enforcement of travel plans remains high on the Senator’s priority list. The room was full of folks from across the spectrum: Outfitters, privateers, resident hunters and anglers. I even spotted someone from NRDC. Saturday found us up in Choteau with the great folks from the Montana Wildlife Federation, Backcountry Hunters and Anglers, and the MT chapter of the Wild Sheep Foundation. We were all there to support the Rocky Mountain Front Heritage Act that’s been introduced by Senator Baucus. 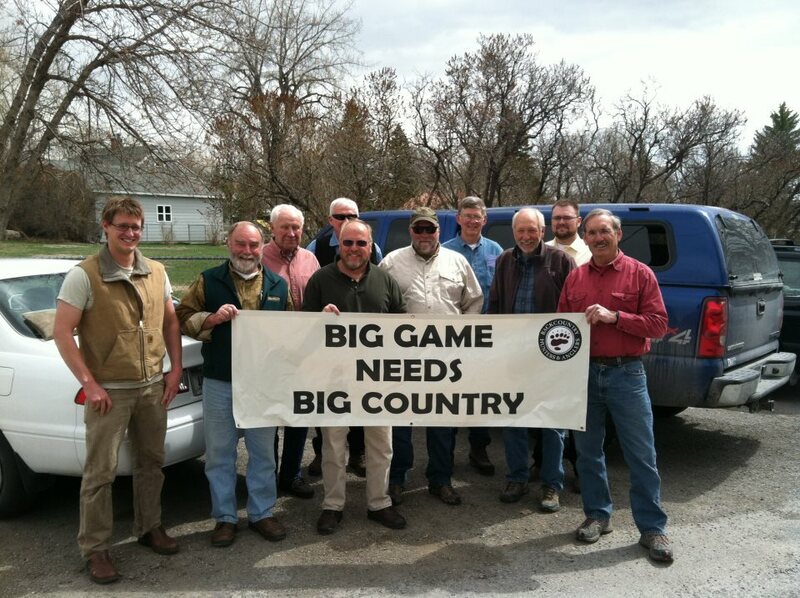 Big game needs big country and the RMFHA will help ensure that the elk, deer, bighorns and mountain goats will always have their home place, the Front. Several hundred people showed up to voice their support or opposition to the bill. In all, approximately 40 people testified in support of the bill, while only 13 testified in opposition (we’re reviewing the tapes now for a final count). The crowd was split about 60/40 in support, with over 200 folks wearing “Made in Montana” stickers to show their support for the Heritage Act, and the local, homegrown process that put the bill together. I t was a good couple of days to be a hunter-conservationist in Montana. Hot damn, we love when Montanans show up and are counted! Montana’s wildlife and wild country have the support of the masses.